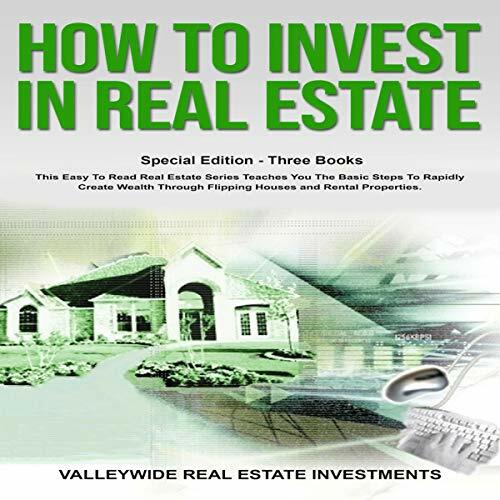 The real estate investment business is very easy to understand. Anyone can do it, and best of all it is one of the greatest wealth creator and protectors! You can get wealthy fast in real estate by flipping property, and once you accumulate your cash reserves, you can then invest it into positive cash flow rental properties for extreme passive growth and preservation. Here is your strategy: Become a flipper in your local market; take your chunks of cash and reinvest them into rental properties using low LTV financing or pay all cash. Flipping houses is the easiest point of entry into real estate investing if you are new. Are you an existing business with an established cash flow already? Then investing in income properties is ideal for you. It will preserve and grow your wealth, with very consistent proven returns and cash flow. Isn’t it nice to know we will always have tenants that have to pay rent, or businesses that need office space? You can’t put that much consistency on a stock or crypto investment! The risks are so low as long as you buy at the right price with the acceptable returns for your market. Believe it or not, I made most of my real estate wealth in Ohio. Throughout my housing adventures I have identified the 80/20 methods that work in this business (rental and flipping). Things have changed a lot in the recent past, and they will only accelerate! We have new digital marketing technologies, all eyeballs are on the Internet and social media, the foreclosures have been reduced drastically, and market dynamics are changing in weird ways. But change is good because that’s when real estate fortunes are made. So let’s learn the basics now so you can start doing deals now in your local market. You need to do only a couple to significantly increase your net income per year. In fact, I recommend you do only 10 to 12 deals per year as a flipper, as this will require only five to 10 hours a week, if even that, and you can still have time freedom or time enough for your job. I ran a small flipping niche in Cleveland that lasted 10 years and produced over $200,000 net profits every year with very little work. This works in any market; it is basic economics. What the 80/20 principals are in this business that work for today and not the old days.